The Square in Tallaght was completed in 1989. It contains 75,000m.sq of retail shopping and restaurants on 3 levels, each lines to a surface carpark, 12 cinema multiplex and multi-storey carpark. The building is dominated by a large glazed pyramid roof light set over a central atrium. 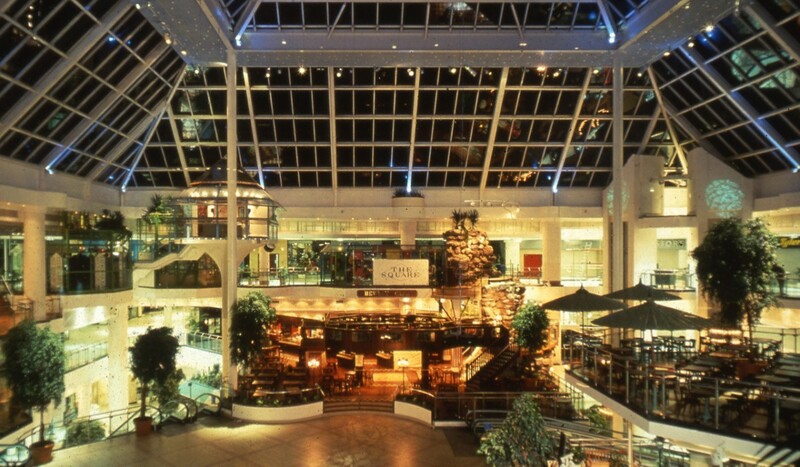 Malls were designed as short as possible redirecting from the central area and shop fronts, all stepped to vary the shopfront surface and mall width. Externally a palette of material including pale rustic brickwork, reflected glass panels, coloured aluminium and soft homed stonework were been used. 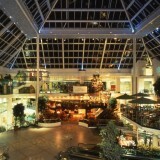 1991, European Shopping Centre of the Year Award.